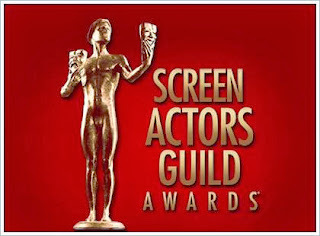 Fassinating Fassbender - A Michael Fassbender Fan Blog: A Screen Actors Guild Nomination for Michael! A Screen Actors Guild Nomination for Michael! Congratulations to Michael Fassbender with his first Screen Actors Guild nomination! The SAG noms which were just announced this morning listed Michael in the Best Supporting Actor category for '12 Years a Slave'. The film received a total of four nominations for Best Ensemble (akin to Best Picture), Best Actor (Chiwetel), Best Supporting Actress (Lupita), and Supporting Actor. Two years ago, it was a devastating cue when the SAGs were announced and Michael was not nominated in the Best Actor category for 'Shame'. So needless to say, today's nomination allows us to relax a little and appreciate that Hollywood is finally recognizing Michael Fassbender. Stay tuned tomorrow as the Golden Globes nominations will be announced! YES! Congrats to Michael. I actually like this nomination more than Golden Globes of Oscar because it comes from well Other Actors. Rooting for Michael and of course anything 12 Years. The film was phenomenal!